Matthew Knight has written an article for CNN, “Briefing: Oil”, and in the preparation for this article he called ASPO. We rely on it to power our everyday lives, and it drives the economy worldwide, but oil faces an uncertain future in the 21st century. Black gold is increasingly expensive, environmentally damaging and, in the view of some experts, increasingly scarce. How much oil do we currently consume? In short, a lot. We get through around 30 billion barrels a year currently, which amounts to around 82 million barrels every day. Consumption varies enormously around the world, but no prizes for guessing who uses the most. The United States guzzles a quarter of all oil produced, China, at the moment, comes a distant second with around 9 percent and Japan third with 6.5 percent. Who are the world’s biggest producers? In 2006, the U.S. Energy Information Administration figures for production revealed that Saudi Arabia is the world’s biggest oil producer, with 10.6 million barrels being filled every day, Russia produces 9.6 million and the U.S. 8.3 million. According to an OECD International Transport Forum discussion paper published in 2007, there are around 47,000 oil fields in the world. But only a fraction of these — around 500 – are considered ‘giant’ — harboring upwards of 500 million barrels. Why has oil become so expensive? In January 2008, oil prices reached the not so magic $100 figure. Five months on and a barrel of light sweet crude oil is pushing towards $130. Some, like Goldman Sachs and the Organization of the Petroleum Exporting Countries (OPEC), think oil might soon cost upwards of $200 a barrel. Good for the oil companies who are posting record profits — watch John Hofmeister, president of Shell Oil Company, the U.S. division of Royal Dutch Shell defend rising profits — but bad for industry and consumers. The reason for the rise in prices is, on the face of it, a simple tale of supply and demand. 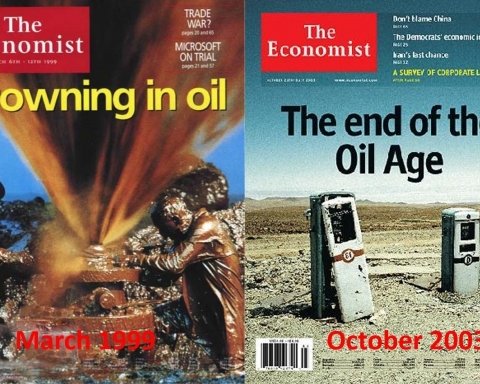 The last big oil crisis during the 1970s was more to do with supply when an Arab oil embargo made oil scarce and sent prices skyward. In recent years though, the exponential growth of the economies of China and India has meant the story is one of demand. Couple this with a rise in car ownership — 500 million in 1990 to around 750 million in 2008. If predictions are correct, then expect that figure to almost double by 2030. If you throw in planes and trains to go with all the automobiles along with shipping and it’s not difficult to understand why oil demand is rising so much. According to the International Energy Agency’s 2007 Key World Energy Statistics report, just over 60 percent of all the oil produced in 2005 found its way into a petrol tank of one description or another. Booming economies like China’s also need oil to make their goods. Not just to power the production lines, but to make a range of products we all consume every day. All this demand has put a strain on oil refineries whose costs and workload have risen in recent years. New environmental regulations requiring ‘cleaner’ grades of petrol have added to their burden. The recent strike by workers at the Grangemouth refinery in Scotland threatened to pile further misery on British motorists and highlighted the economic and political sensitivity that oil demand is creating. 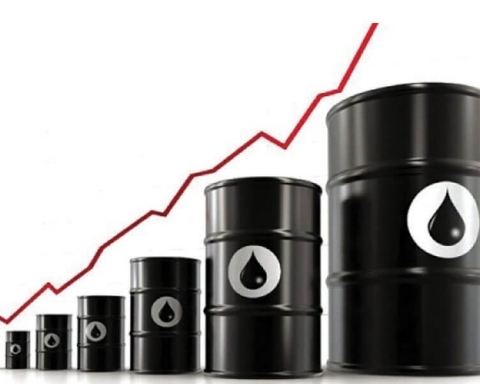 Is speculation in the financial markets driving up the price of oil? In recent weeks, a veritable slick of accusations has been laid at the door of financial speculators. Sen. Barack Obama, OPEC, Saudi Arabia’s King Abdullah and German leaders are just some of the high-profile figures pointing the finger at speculators. With oil prices threatening to become a permanent fixture on front pages lawmakers in the U.S. are promising to get tough on hedge funds. Nine new bills are being introduced which threaten to end the practice. And the financial sage George Soros thinks that speculators are responsible for the recent price hikes. He told the UK newspaper The Daily Telegraph that the record prices looks like a bubble. Aren’t there problems with supply as well? Yes. Tension over supplies has never really gone away either, especially in the Middle East where decades of disagreements and conflict have continued to feed uncertainty into global stock markets. Terrorist activities and the consequent disruption to oil supplies in other parts of the world — notably in Nigeria — still provoke a collective fit of the jitters amongst economists. All of the world’s resources are finite, so we will run out at some point. The big debate at the moment is about when oil production will peak — i.e. when half of oil stocks have been used, and production begins to slow. Texan born geophysicist Dr. M. King Hubbert first came up with the peak oil theory — known as ‘Hubbert’s peak’ — in the 1950s, arguing that U.S. oil production would peak in the early 1970s. He was right. And since 1981, the world has been using more oil than it has been finding. So how much oil is left? 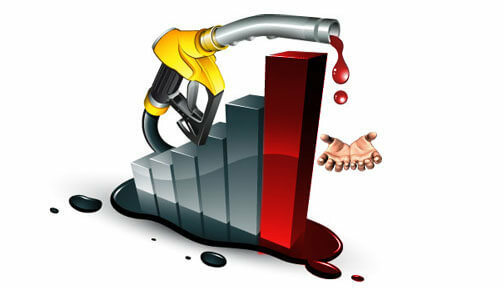 OPEC states that there were oil reserves of 1.1 trillion barrels in 2006, of which they control over three-quarters. They predict that current stocks will last 81 years if consumption remained at 2006 levels — 76 million barrels per day (mb/d). But according to Professor Kjell Aleklett of Association for the Study of Peak Oil&Gas (ASPO International) peak oil is going to happen a lot sooner. 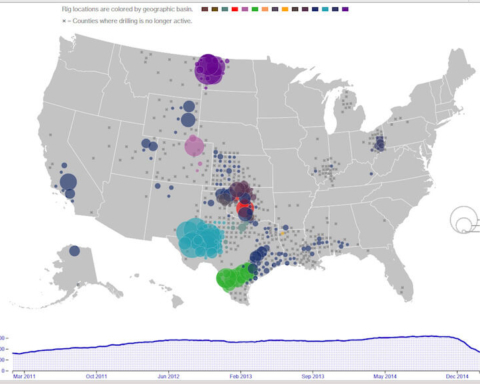 “We have a decline in production at today’s oil fields of roughly 4 percent a year. At current production levels [82mb/d] that means we are going to lose 30 million barrels a day over the next ten years,” Aleklett told CNN. Aleklett, a Professor of Physics at Uppsala University, Sweden is concerned about the production problem allied to growing consumption. He highlights the current situation in China. The Chinese economy is growing at around 10 percent each year and oil production in the country at full capacity. It means that China will have to import much more oil than the current figure of 3.5 mb/d. 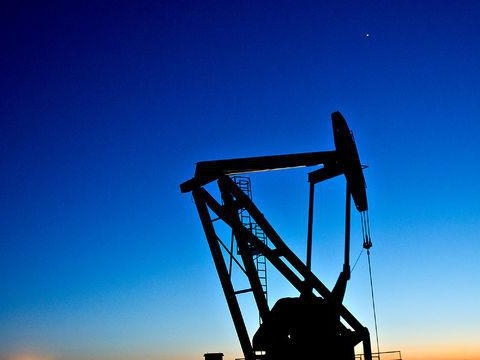 “This will push the demand for oil to an entirely different scale,” Aleklett said. He believes that the worst-case scenario for peak oil is a plateau from 2007 — 2012 before oil production starts to decline. The best case will be that production will go up to 93 mb/d. But he thinks that this would require the ten giant oil fields in Iraq to go into production now. But a report by the influential energy advisor Cambridge Energy Research Associates (CERA) published in January 2008 takes a different view. Oil is not running out they say, predicting supply will top 100 mb/d by 2017. But surely we’ll keep on finding oil to replace depleted stocks? Well, Brazil and Mexico have found big oil fields in recent years, and oil companies are investing heavily in Canadian oil sands in Alberta where it’s thought to be plentiful. But like the tar sands of the Orinoco Belt in Venezuela this oil is difficult and expensive to extract, as well as to be environmentally controversial. Professor Aleklett remains pessimistic about increased rates of discovery in the coming years. 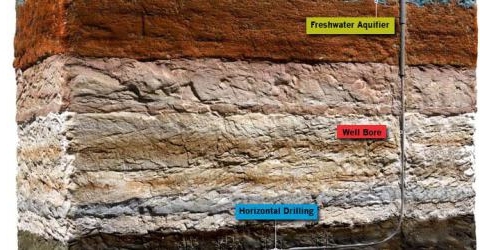 “If you look at the discovery trends over the past 40 years, we will find 150 billion barrels in the next 30 years. If you are consuming 30 billion barrels every year means that that stock will last five years,” he said.